If you like nature and you like the muskrat, you might want go and look at some streams and safe canals because that's where they like to live. The muskrat and the beaver are from the same family. 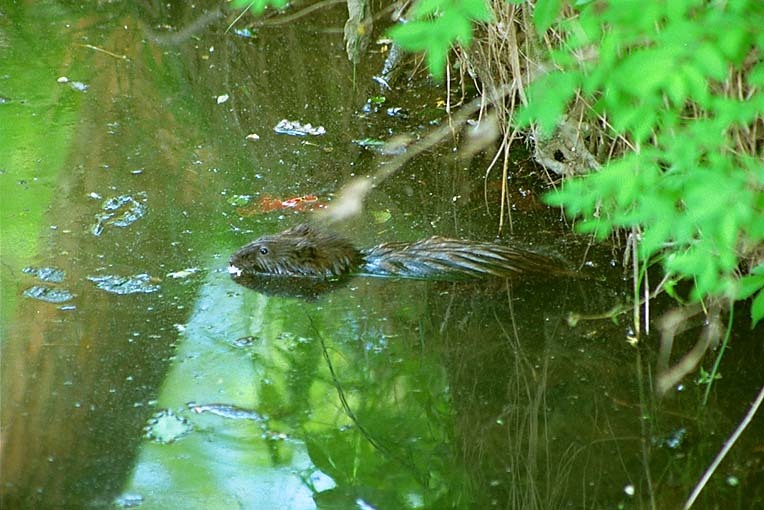 Muskrats belong to the Cricetidae family. They walk on four legs like most mammals do. The muskrat has little hairs that are waterproof, and the hair that is called protective guard hair is long and brown. The muskrat has webbed feet for swimming. They burrow in the banks of a river or in marshes. They are farmed sometimes as their furs are valuable. They have families of six in a litter. The muskrat is a lot like the beaver but is a few inches smaller. The muskrat is also brown. If these differences are not apparent then finding any genetic materials such as fur or droppings or even any blood for a blood test might be a solution if you need to identify the animal. "Breeds April - Aug. in North, in winter in South.